You’ll know you’ve broken your collarbone almost immediately, says Dr. Subir Jossan, MD, an orthopedic surgeon with the DC-area Centers for Advanced Orthopaedics. It’s not a subtle injury – moving your arm will be agonizing, and you may hear an audible crack as you hit the ground. 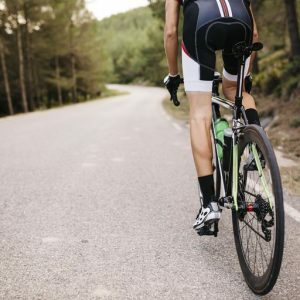 The big issue with this break is that when it heals right, it won’t impair your long-term function—but that doesn’t always happen, and the repercussions extend beyond your collarbone. The collarbone acts as a strut connecting your arm to your chest; any kink in that system could mean you’ll have prolonged problems.“If it heals in a position where there’s shortness [meaning it doesn’t quite reach the shoulder joint], there may be some weakness,” says Cunningham. Here’s what you need to know about managing a collarbone break, and how to come back stronger. Once X-rays are done, the severity of the fracture will determine the course of treatment. A sling: A tiny, hairline fracture is a pretty simple fix. Usually the doctor will put your corresponding arm in a sling and tell you to come back in six weeks. The surgical option: If there’s any sort of displacement—meaning part of the bone has shifted—things get more complicated. “The pendulum has swung from staying away from non-operative treatment to opting for surgery in certain situations,” says Cunningham, adding that several recent studies have shown that those who opt for surgery have better function and much quicker recovery times. In fact, patients can use their arms the day after surgery in many cases. Collarbone surgery entails placing a small plate over the fracture. In about 10 per cent of cases, the plate may have to be taken out later; this is especially common in women who report irritation with purse or bra straps rubbing over the area above the plate. 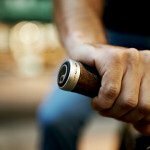 In cases where the cyclist has also sustained some sort of leg damage, the surgery can be super helpful, since your shoulders can tolerate crutches the next day. Still, there are risks to any surgery. “If you don’t have surgery, there’s a zero per cent chance you’ll get an infection and a zero per cent chance of needing to have hardware taken out,” Cunningham says. If you skip surgery but the break isn’t healing properly, you may endure six to eight weeks of mild discomfort only to find out that you have to have surgery anyway. 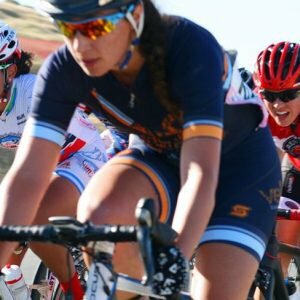 In the course of post-break recovery, many cyclists notice a collarbone “bump”—a bit of callus where the bone heals, says Jossan. Whether you end up with one is somewhat determined by random chance, but if you don’t have much in the way of body fat, whatever bump you get will be much more noticeable. As long as everything heals properly, a collarbone fracture shouldn’t increase your chances of getting another down the road. “If it heals right, it’s like it never broke,” says Jossan. “If it doesn’t heal right, though, some fall may break it again,” he warns. 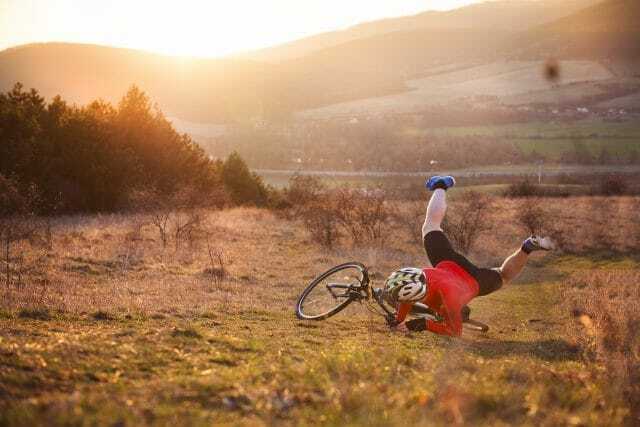 That’s is why you need to take this particular bicycling injury seriously. If you fall shoulder-first onto the pavement and think you could have done damage, seek medical attention. Don’t consider a broken collarbone a death sentence to your riding. Dr. Cunningham says that you’ll likely be able to get back to riding quickly. With surgery you could even be back in the saddle in just a few days. Without, you may be stuck on a trainer for at least six weeks. Either way, you’ll have a great story to tell at your next group ride—and you may even have a trophy bump to show.